Welcome to the Society’s website. Our aim is to provide information about the history of this unique Yorkshire parish lying to the west of the Pennines. For those wishing to research further there is information in the Archives sections including information in the members’ area. An annual programme of talks. The Society publishes a quarterly Bulletin with articles on Saddleworth history. We have an extensive Archive housed at Saddleworth Museum. Our website continues to be developed. We will be adding more information, documents and photographs. Come back and see what’s there. The Saddleworth Historical Society arranges talks throughout the year and publishes a quarterly Bulletin. 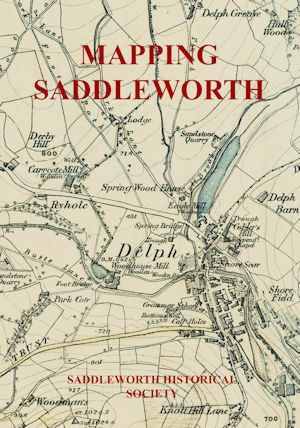 The Society has published books about Saddleworth, and Local Interest Trails. It expects to publish more books in the future. The Society has a large archive of historical material. The Society has an international membership, many of whom are descendants of emigrants from Saddleworth to America, Australia and elsewhere in the world. You may wish to make a donation to Saddleworth Historical Society to assist with the work they are carrying out for Saddleworth?